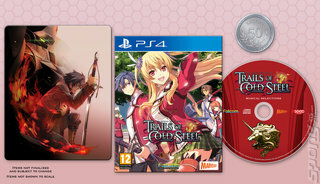 This remastered version of The Legend of Heroes: Trails of Cold Steel works as a great jumping on point for newcomers to the JRPG series before the third installment comes later this year. Meanwhile, for those already seasoned in the Legend of Heroes series it's a great chance to dive into the oft-discussed but seldom seen Erebonian nation from the Trails in the Sky offshoot of the main series. Erebonia is a place that so prides itself on its military might that it has no less than five military powers - four run by the nation's noble houses and one presided over by the chancellor to keep them in check. You play as Rean, a young would-be soldier on their way through Thor's military academy with the goal of one day entering the military. Gameplay follows the pattern of previous entries in the Trails in the Sky offshoot with a few tweaks. It uses the 'Tactical Link System', which enables players to follow up their moves with three different types of link attacks which dole out extra damage and other advantages. Bonding with your schoolmates through the academic year grows these links, meaning it pays to jump into the narrative feet-first and really get stuck in. There's a layer of what we'll call ambient narrative that runs right through the game. Just as in life, the other characters aren't waiting around for you to do something - they each have their own story going on and their dialogue will shift and change as the game progresses, regardless of whether you're there to witness it. It makes for a rich, engaging world that you have to actively participate in if you want to see everything. As or the PS4 remaster - the game now runs at 60 frames per second with a resolution somewhere north of 1080p and features a massive 5,000 new lines of dubbed dialogue, meaning that even if you played this game in one of its previous incarnations there's something to come back for.